AMSI Optimise, the Institute’s newest flagship networking and research training event, was launched in 2017 to strengthen mathematical optimisation research collaboration and its applications across industry. Optimisation is becoming an increasingly crucial element of industry that can help growth and profitability across a range of sectors. Using mathematics, optimisation is also the practise of improving processes to their optimal capacity. 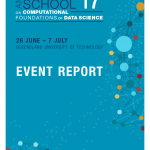 Held at the Monash Conference Centre in Melbourne from 26-30 June 2017, the inaugural event was attended by 108 academics, students and people from industry. 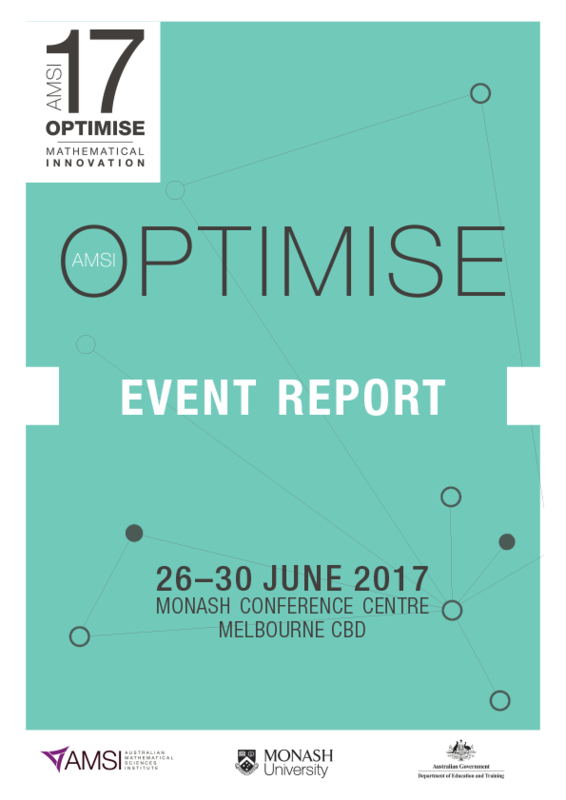 The first three days of the Optimise 2017 program was an industry focused conference covering the applications of optimisation to utilities, applications in transport and supply chain optimisation and practical optimisation tools. The last two days of the week-long event was reserved for a more traditional workshop allowing for academics to submit talks.